All of 36 hours after the breaking of abuse and coverup in Boston won the Oscar for Best Picture – and as the Vatican's all-powerful CFO, Cardinal George Pell, testifies from Rome to a national inquiry probing the church's response in his native Australia – Catholicism's long, horrid road of scandal has erupted anew in the US, in a development likely to invite fresh scrutiny across the map. In a blistering 147-page report released this morning, a two-year long Pennsylvania grand jury detailed a sweeping investigation of allegations and neglect over four decades in the diocese of Altoona-Johnstown, which covers eight counties in the state's central-southern tier. Among other findings, the panel disclosed evidence of the abuse of "hundreds" of minors by "at least 50 priests" during the cited period, alleging that, even into recent times, multiple clerics with known allegations remained in some form of public ministry for years after the Dallas Charter's zero-tolerance provisions became church law – including one as recently as October 2015 – while the largely rural, 95,000-member diocese's previous two bishops "wrote their legacy in the tears of children" over years of willingness to squelch public knowledge or consequences on the reported crimes. Built upon a catalogue of the allegations against 34 diocesan priests – a trove collected from testimony and a 2015 state raid of the diocese's personnel files – beyond the graphic accounts of assaults committed by men the report repeatedly terms "monsters," the grand jury depicts the late Bishop James Hogan (who led the diocese from 1966-86) and his now-retired successor, Bishop Joseph Adamec (1986-2010), as brazenly driven to avert civil accountability when reports of clerical misconduct would arise. For Adamec's part, meanwhile, an anonymous victim – himself a priest – recounted to the grand jury that, when he moved to file his own abuse suit dating to his high school days during the crisis' national outbreak, he was summoned to a meeting with the bishop, at which an official read out "the penalties for suing the diocese... up to and including excommunication." "I think [Adamec] just did it to scare the crap out of me," the witness said, "so that I would drop it all. But I was under the impression that I was excommunicated and I was sitting in the chair in shock." According to the findings, that priest-witness "was accused in 2003 of improper contact with a child himself and" – a year after the promulgation of the Dallas Norms as particular law in the United States – "transferred to another parish." While the cited misconduct went unspecified, "he is currently suspended." 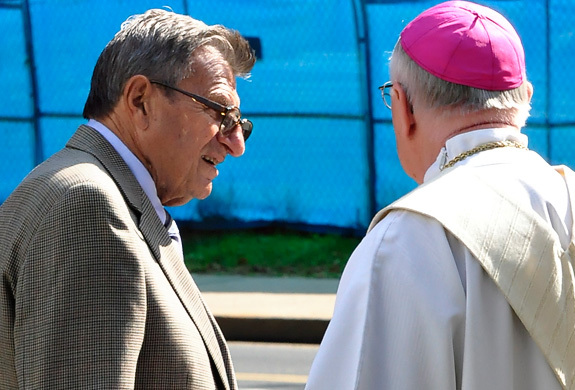 Upon Adamec's own appearance before the grand jury last November, he was initially asked if he was "now or ever have been a bishop of the Roman Catholic Diocese of Altoona-Johnstown?" As the bishop began to respond, "Yes, I –", the report says Adamec's lawyer intervened, at which point the prelate "exercised his right to refuse to answer questions on the grounds of incriminating himself." No further testimony is recorded. In conclusion, the report states the grand jury's finding that "both Bishops Hogan and Adamec endangered the public." As of press time, a response has yet to emerge from the diocese's current head, Bishop Mark Bartchak – a former president of the Canon Law Society of America, who was named to Altoona-Johnstown on Adamec's 2010 retirement. Amid a narrative that prosecutors sometimes needlessly sought to dramatize at the expense of its shattering content, while today's report sought to "commend" Bartchak for his "positive steps" in suspending four priests with allegations that turned up in the probe, the panel starkly noted that only in September 2015 did the bishop replace the vicar-general he inherited from his predecessor, Msgr Michael Servinsky, who held the diocese's second-in-command post since 1992. "Given the opportunity to explain his role to the grand jury" in December as today's report put it, like his longtime boss, Servinsky "elected to exercise his right against providing testimony which may be incriminating." Incendiary as the filing is, its guiding champion is facing significant legal issues of her own – her law license suspended and awaiting her own trial on charges of leaking grand jury information to the press to undermine internal enemies, Attorney General Kane announced last month that she wouldn't seek reëlection for a second term, days after barely surviving a motion for her removal from office in the Pennsylvania Senate. While the grand jury's report closes with just the latest call for the legislature to pass a "window" law suspending the civil statute of limitations to allow lawsuits to proceed, given the fallout of the Sandusky case and the institution that covered up the coach's abuse, any push to that end would hit an iron wall against the clout of Pennsylvania's most influential fold: the Penn State faithful, who long ago replaced Catholics as the Commonwealth's most numerous and fervent religious body – a reality exponentially reflected in Harrisburg. 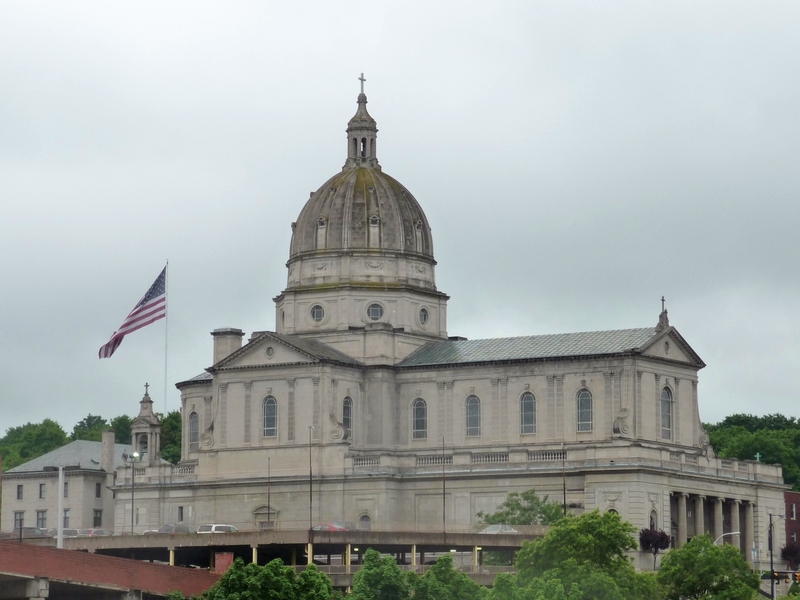 The Diocese of Altoona-Johnstown has received the report issued today by the Thirty-Seventh Statewide Investigating Grand Jury. As noted in the report, the Diocese cooperated fully with authorities throughout the investigation, and will continue to do so as part of our commitment to the safety of all children. At this time, the Diocese is reviewing the report. The Diocese’s youth protection policy, which calls for mandatory reporting of all abuse allegations to civil authorities as well as criminal background checks and education for clergy, employees, and volunteers who work with children, may be found at www.dioceseaj.org/childprotection. Suspected child abuse should be reported directly to civil authorities. The Diocesan Victim Assistance Coordinator, Jean Johnstone, may be contacted at (814) 944-9388 for additional support.